Best cheap sedans aren’t difficult to find, if you look carefully. Of course, it depends what you really mean by cheap. If it’s the least expensive car you can buy, you’ll be limited to compact or subcompact sedans without a lot of frills. Forget about midsize or larger for now. Still, there are some very stylish choices available in the used car market, some with a few decent amenities. Nissan Versa – Consumer Guide names Nissan Versa a Best Buy, saying Versa is “priced like a subcompact, but its blend of room, comfort and refinement are an easy match for any number of more expensive compact cars.” New Car Test Drive opines, “Versa is a big small car with comfort, performance and versatility.” U.S. News and World Report says “Considering that it is one of the least expensive cars in its class, the Nissan Versa is a good choice for its spacious cabin and excellent handling dynamics,” although it has “sluggish acceleration” and short list of standard features. 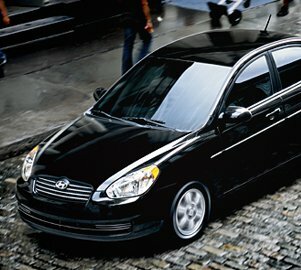 EPA-estimated fuel economy for 2009 Versa is 27 mpg city/33 mpg highway. Other Best Cheap Sedans you might consider: Chevrolet Aveo, Hyundai Elantra, Kia Spectra, Mitsubishi Lancer, Suzuki Forenza and SX4, and Toyota Yaris.